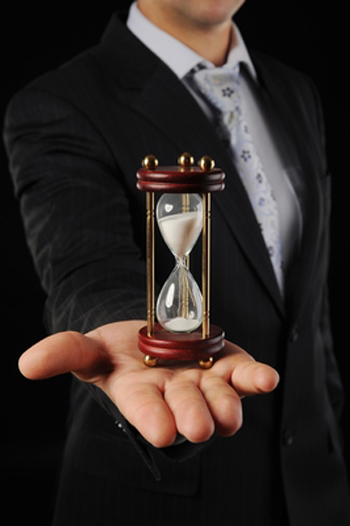 "How long in advance of trial should I be working with my trial graphics firm?" I hear this question in some form quite regularly. Often the person asking it has some idea of what they are planning to do, and they are looking for validation of their plan. However, for those who are genuinely looking for best-practices, I can offer meaningful guidance based on 20 years of advising top litigators and watching top trial teams prepare for trial. Clearly, a balance must be struck between the likelihood of settlement and the value of preparing your trial presentation long in advance of trial. Prepare too late and you risk not helping your fact finders understand your case, and you surely won't be maximizing your persuasiveness. Prepare too early and you run the risk of doing work that won't be needed if settlement occurs, and you might be focusing too much on your trial presentation and not enough on developing a good record. So what's the right amount of prep time for trial graphics? For some cases that we work on at A2L, we will begin graphics preparation and mock trial testing years in advance of trial. Sometimes we start working a potential issue before a single lawsuit has been filed. For other cases, we begin our work only days ahead of trial. The right answer for your case depends on several factors. How much is at stake? If the answer is billions of dollars, a minimum of six months of trial graphics preparation is required, and the best practice approach would be a year or more. If the answer is a few million dollars, a month should be sufficient. If the answer is in between (and most of the time it will be), follow a best-practice approach of nine months of lead time and never dip below three months of lead time. Is this pattern litigation? For pattern litigation, apply the rules above, but measure what is at stake by looking at the overall value of the potential cases combined. Is the subject matter challenging? Some cases are more complex than others. A patent case involving chemistry with twelve patents at issue is much harder for a judge and jury than a single-site environmental contamination case. An antitrust case requiring complex economic testimony about market power is more complicated than a employment discrimination case. If you can't explain your case and why you should win to your grandparent in less than 30 seconds, it's probably complicated. In these instances, follow best-practice schedules, not a minimum allowable time approach. Is it a close call? Be honest. Can you see a way that your opponent can win this case? If the answer is yes, prepare at a best-practice level time frames, not on minimum schedules. Do you plan to test your trial graphics with a mock jury or in a mock bench trial? Without the benefit of having tested your trial presentation, it's very hard to know how well you prepared. Testing a case once is helpful, but real value happens when a case is tested multiple times, thus allowing for course corrections from the first event to be tested in subsequent events. If you are planning for a mock trial add three to six months to the trial graphics prep schedule. A great deal can be achieved at the 11th hour. The litigation consultants, the litigation graphics consultants and the jury consultants on our team can very quickly assess whether best practices are being applied to persuasive storytelling, courtroom communications and trial presentation. Quick changes are possible that yield big results even late in the game. So, in a sense, it is never too late to focus on trial graphics. Of course, it is probably never too early either. Building a compelling and persuasive story that people care about takes time, and a lot is left on the cutting room floor. There are just some things that cannot be rushed no matter how much talent, experience or intelligence are involved in trial preparations. You will know that you've prepared enough when you know your presentation is going to work. You know it's going to work because you've tested it in a mock trial, a micro mock event, or by some other method. Great law firms and great in-house counsel favor intense trial preparation early regardless of the possibility of settlement.